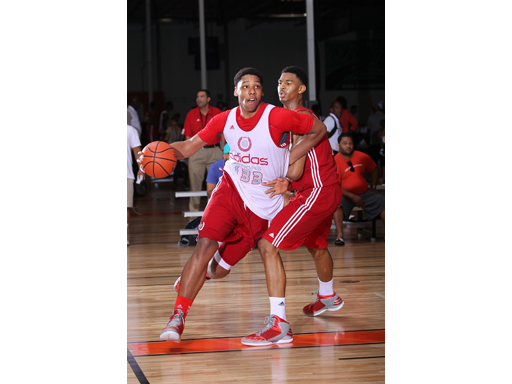 adidas today announced the roster for adidas Nations, the premier international grassroots basketball program. Practices, pool play and college counselor games will be held August 2-4 at the Next Level Sports Complex in Garden Grove, Calif., and the championships played at Long Beach City College on Monday, August 5 at 4pmPT/7pmET and broadcast live on ESPN U. The country's top-ranked high school players will participate including Jahlil Okafor (Whitney Young HS/Chicago), Kevon Looney (Milwaukee Hamilton/Milwaukee), Myles Turner (Euless Trinity/Dallas), Trey Lyles (Arsenal Technical HS/Indianapolis) and Stanley Johnson (Mater Dei/Fullerton, CA). The culmination of adidas Nations will feature championship and third place games at Long Beach City College Hall of Champions Gym – 5000 E. Lew Davis Street, Long Beach, CA 90808. For more information please visit http://news.adidas.com/global/basketball.